…family-friendly entertainment that’s fun for all ages! Machines play a huge role in farming. And research into robots in agriculture in a fast growing field. Robots may even be coming to a farm near you – milking cows, strawberry picking! From a playful perspective, Tubby can draw our attention to these advances in technology and question how these developments may impact on farming in the future. Time to put your feet up, and let the robots do the work! 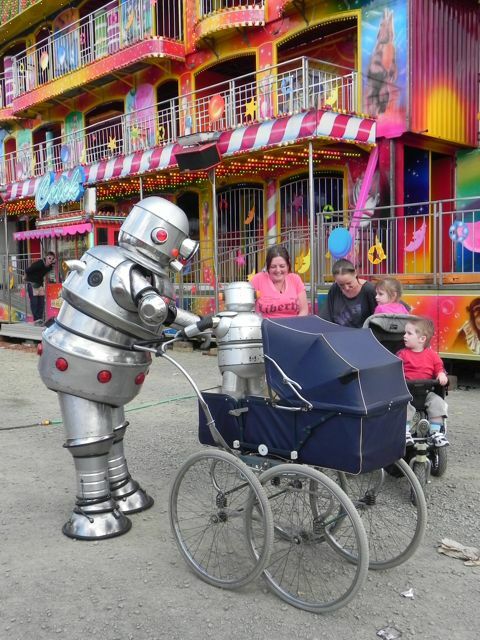 With his quirky humour and love of rural life, Tubby is an outstanding attraction to have at any show.